INDUSTRY.co.id - Jakarta - The development of digital technology increasingly rapid in the world, this is certainly not to be ignored by Indonesia. As one of the most densely populated countries in the world, it is very natural that Preiden Joko Widodo wants Indonesia to emerge as the largest digital economy player in Southeast Asia by 2020. 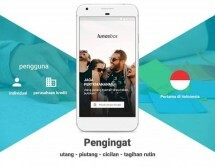 Bekal is also supported dengqn power 132.7 million internal users and 92 million users of active gadgets in the country. 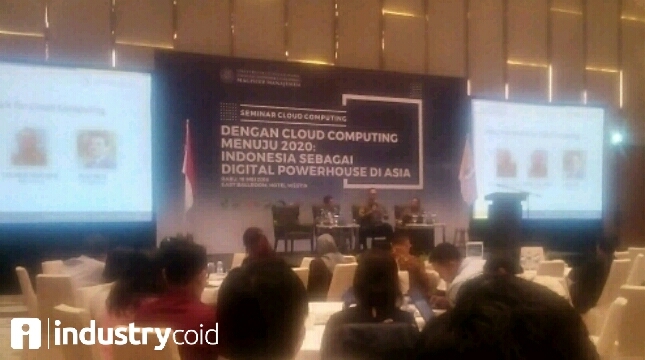 The potential is then responded by Master of Management, Faculty of Business Economics, University of Gajah Mada by holding a seminar Cloud Computing with theme 'With Cloud Computing Towards 2020: Indonesia As Digital Powerhouse in Asia' held at Hotel Westin, Jakarta (16/5 / 2018). This seminar presents a number of speakers with a background of expertise in the field of digital economy as well as two keynote speakers including the Ministry of Communications and Information (Kominfo), and also present from the President Consideration Board (Watimpres) Prof. Sri Adiningsih. The Director of Master Program of Management of FEB UGM, Prof. Eduardus Tandelilin hoped that this seminar could educate the public related to the existence of cloud computing technology as the infrastructure of business support in the future. According to this professor of economics UGM, the key component to improve the future of digital economy is to adopt the use of digital technology such as cloud computing which uses measured data storage, computing and processing through Artificial Intelligence (AI), Machine Learning (ML), Internet Of Things (IoT) as well as a number of other supporting facilities. "Cloud computing greatly helps the development of innovation culture across business scales while providing access to innovate with the cheapest and fastest technology," said Prof. Eduardus. "Hopefully through this seminar, questions such as security compliance and ownership of data with the use of cloud computing technology can be answered," he said at the opening of the seminar. The organizers hope that the presence of this seminar will encourage the government to support any security policy and reliable on the use of digital infrastructure used by the public and private. Then for local businesses large scale, medium and small is also expected to open access and use digital infrastructure available. In this seminar also involves the perpetrators of digital economy industry such as digital-based UMKM, cloud computing provider, IT professionals and representatives from the world of higher education.